San Antonio, Tx, February 1st 2018 Parlevel Systems, the technology provider for the most productive network of food and beverage operators in the world, announced an integration with Lightspeed Automation, the industry leader in warehouse automation. Warehouse, prekit, and inventory information generated by Parlevel’s vending management system (VMS) seamlessly syncs with Lightspeed’s warehouse pick-to-light system. The integration helps vending, micro market, and office coffee / dropoff operators save time, ensure prekit accuracy, and streamline warehouse processes. Parlevel’s VMS uses remote monitoring and forecasting to track sales information for vending machines, micro markets, and coffee / dropoff stations. From this sales information, Parlevel can accurately generate product lists, commonly known as prekits, for warehouse operations. Once the prekit is generated, detailed order information can be sent to the operator’s Lightspeed system. Warehouse personnel can quickly and easily use Lightspeed’s pick-to-light system to pack replenishment orders generated by Parlevel’s System. Parlevel and Lightspeed systems work together to track inventory from warehouse to truck to machine, helping businesses increase operational efficiency, stock points of sale accurately, and save money. Parlevel’s integration with Lightspeed works for vending, office coffee / dropoff, and micro market operations, but does not support third party micro markets. Operators can still use the Parlevel warehouse module to track and maintain inventory without the need to purchase third party software. 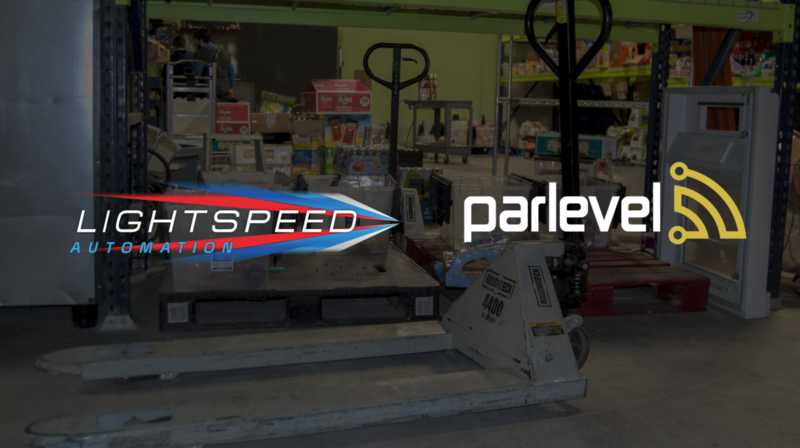 This integration is the first step in a collaboration between Parlevel and Lightspeed to help operators run the most efficient warehouse processes possible.